Imaginative play helps children develop creativity. 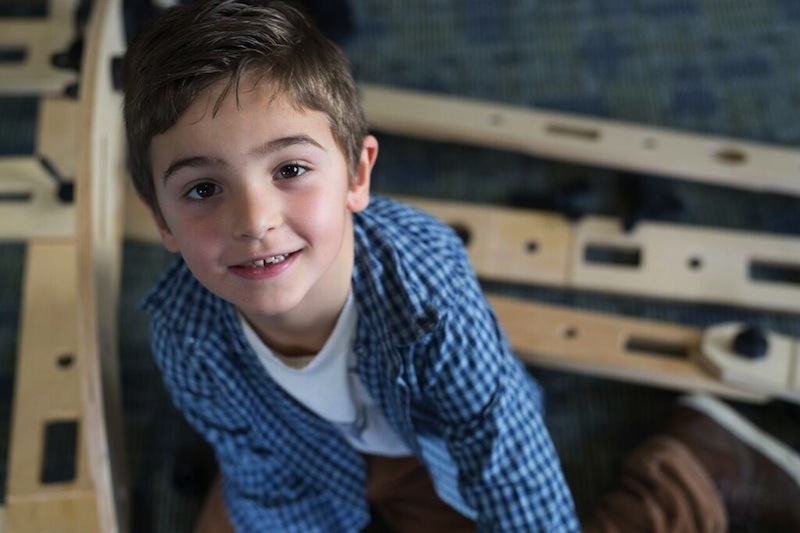 In RiverTown, children can be a baker in a bakery, be a hero responding to calls in a fire truck, solve problems on a construction site, or create in our Art Studio! This space was designed to celebrate the diversity of the people who live in towns and cities throughout the Hudson Valley. 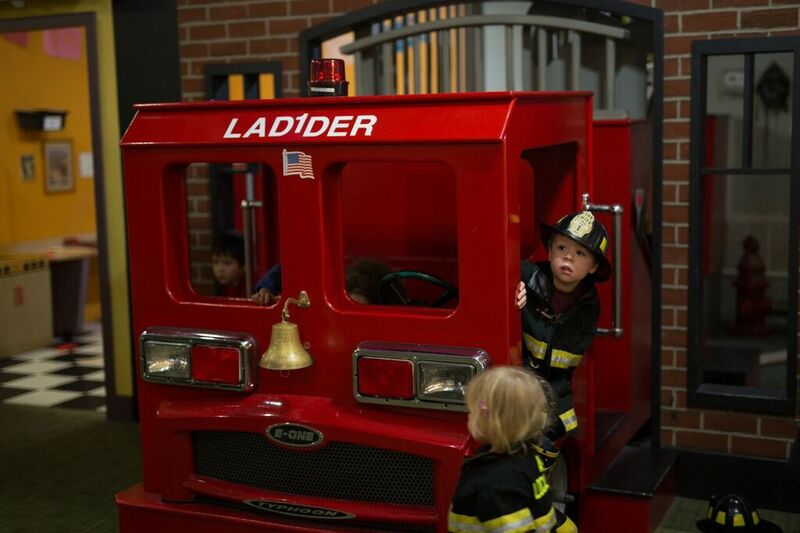 With lights flashing and sirens blaring, your young one can race to the scene and save the day on our multi-level fire truck exhibit. Dressed from head to toe in fire fighting gear, children can climb the ladder to fight a (very pretend) blaze. This exhibit space features real tools used by actual firefighters in their daily work. Step inside and start building! Stack bricks. Measure planks. You can even try your hand at “plumbing” as you assemble real PVC pipes. The Art Studio invites young artists to create! 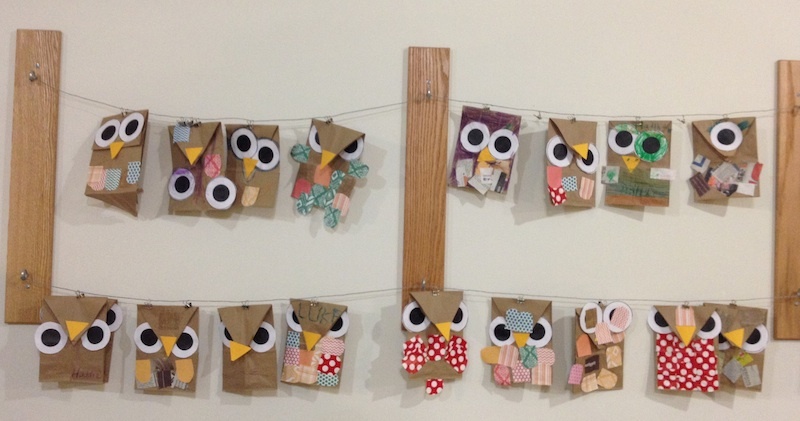 Featuring a different themed art activity each week, your child can explore different materials and techniques as they create masterpieces. Designed specifically for infants and pre-walkers, Caroline’s Baby Park is an enclosed space that encourages tummy time, “pulling up” and first steps. Padded mats and structures can be moved around to create a dynamic space that is perfect for exploration by our youngest visitors. Board books encourage reading to baby, and tactile tubes provide visual and auditory stimuli. Caroline’s Baby Park is a great place for baby group meet-ups! RiverTown was created in partnership with the New York State Council on the Arts, and the Institute of Museum and Library Services. The Fire Truck was designed and constructed by the Arlington Professional Firefighters.